This DIY (Discover it Yourself) tour can be of varying lengths depending on how long you want to ride and how many stops you make. But expect it to take about 4 hours because there is a lot to see. Situated at the western end of beautiful Santa Rosa Island is the Fort Pickens National Seashore Area. 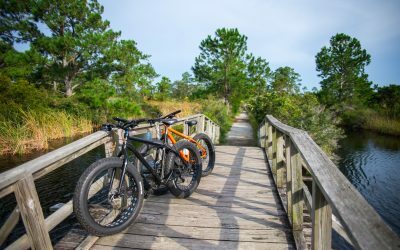 This area is removed from the tourist area of Pensacola Beach and offers beachgoers a chance to explore and experience an unspoiled section of a Northwest Florida barrier island. The trail itself is totally flat with a few small bridges that are perfect for wildlife viewing. The surface is mostly shell and gravel making it suitable for any level rider. Some points of interest require on-road riding, but the tour can be all off-road if desired. In the warmer months we recommend starting as early as you can do, as the heat gets intense quickly in the Florida sun. Much of the ride you will be exposed to the sun so sunscreen is a must. Situated at the western end of beautiful Santa Rosa Island is the Gulf Islands National Seashore Fort Pickens Area where this tour is located. 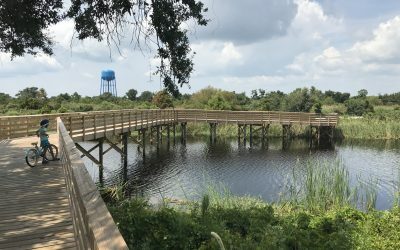 This park is removed from the tourist area of Pensacola Beach and offers beachgoers a chance to explore and experience an unspoiled section of a Northwest Florida barrier island. Highlights of this tour are the remote gulfside and soundside beaches, WWII era military bunkers, extensive wildlife viewing, and the impressive all brick, civil-war time period, Fort Pickens. The typical 6 mile tour will take about 2 hours to complete, but could take longer depending on how times you stop. Like stated earlier this is a DIY tour. 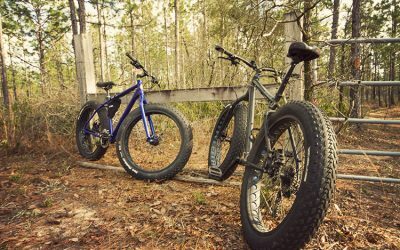 You will be renting bikes and we will deliver them to the trailhead and pick them up when you are finished. Click here to proceed to the bike rentals page ›› Thanks for choosing Hamilton Mountain Bike Tours as part of your vacation.